Where can you throw snowballs, dress up a snowman and skate in your socks? Chicago Children’s Museum, of course! An all-new Snow Much Fun, the museum’s much-loved winter experience, is now open. This family favorite has been re-imagined as an immersive snowy cityscape that’s the perfect setting for winter fun—no mittens required! Last Weekend (Oct 26-27) for SPOOKY OCTOBER and READY, PET, GO! 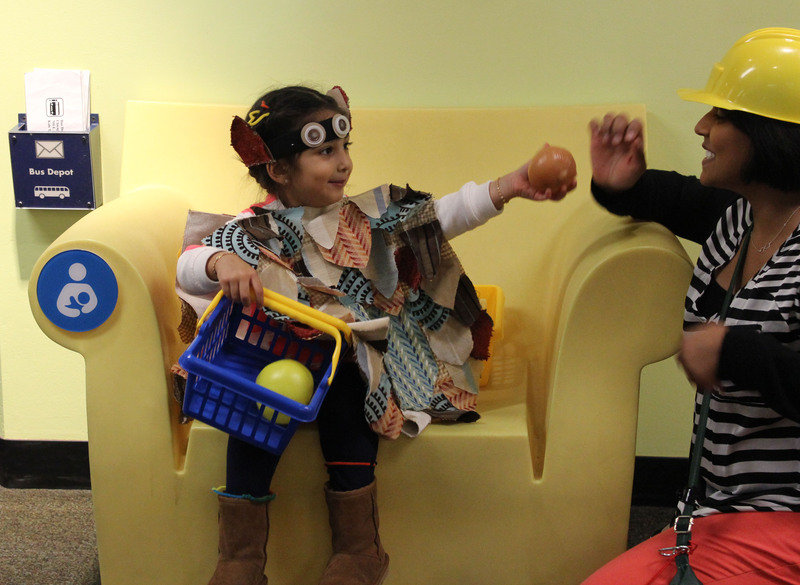 This weekend (October 26 – 27, 2013) is your last chance to experience Spooky October at Chicago Children’s Museum! Paint your face, make your own costume, explore our SPOOKY Backyard or do all three! 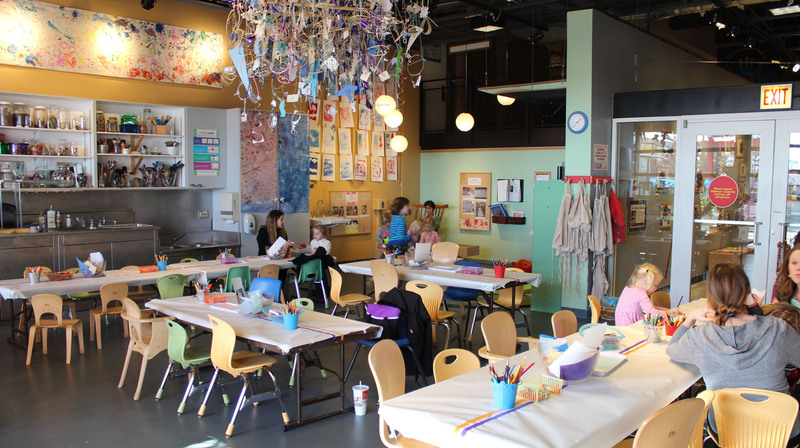 Chicago Children’s Museum is the perfect place for families with children of all ages to experience and celebrate the fall season indoors (especially when it feels more like winter outside!). It’s also the final weekend for Ready, Pet, Go! 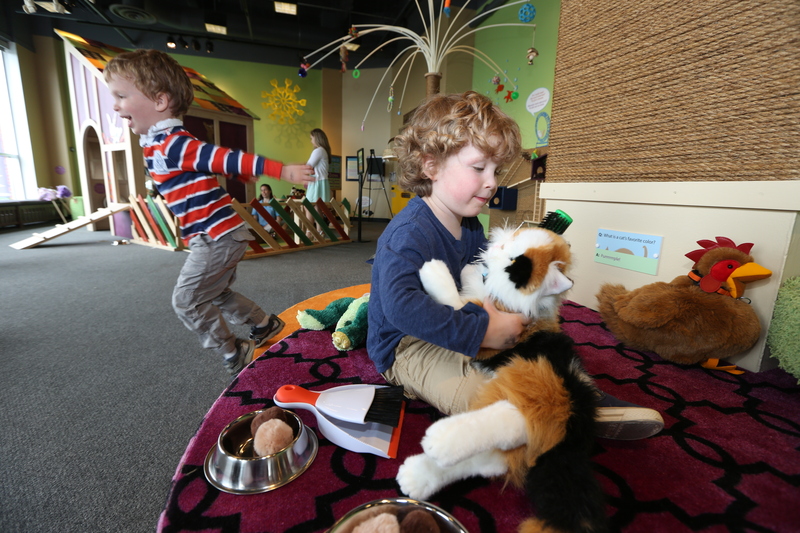 CCM’s beloved exhibit about all things pets! Snuggle up and read a book in our giant nest, pretend to be a cat and climb our “kiddie condo” or coral and groom our giant stuffed animal horses! Ready, Pet, Go! closes October 27. You won’t want to miss these awesome exhibits! See you soon! 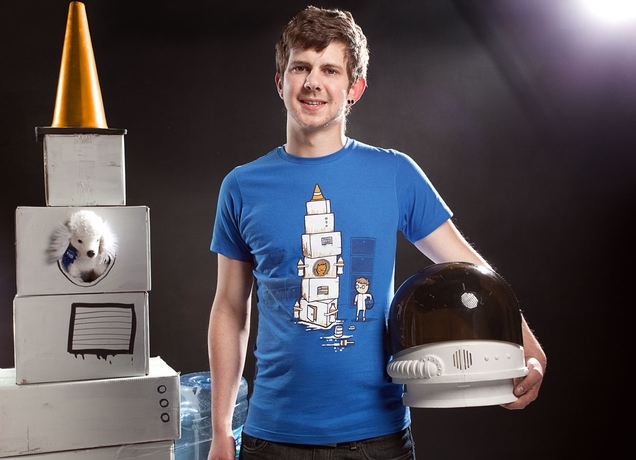 Q and A with Threadless Winner, Aaron Jay! Our Threadless design challenge winner, Aaron Jay, was at Chicago Children’s Museum hosting a workshop: Wearable Illustrations! Visitors worked with Aaron to draw their own wearable patch. 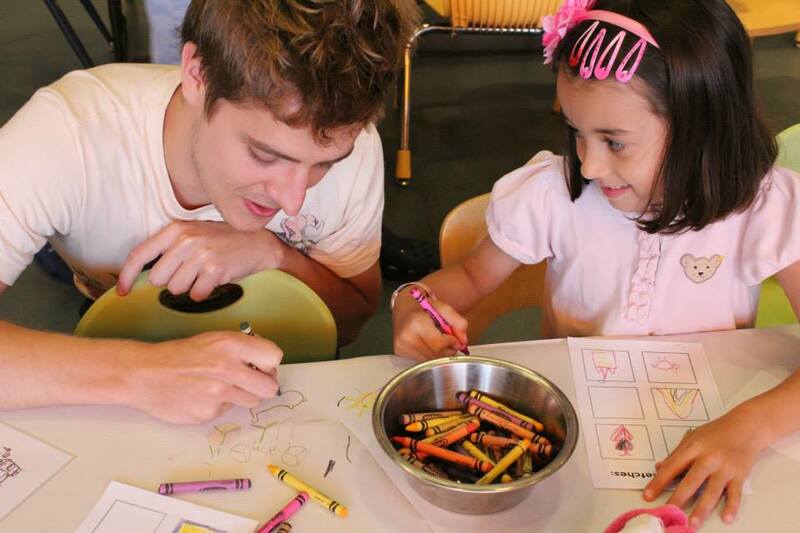 We asked Aaron about his experience at CCM and in Chicago. 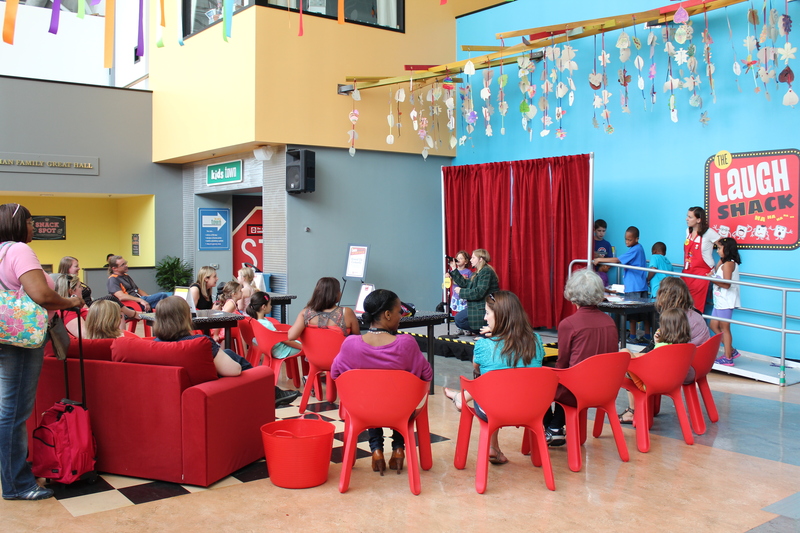 What did it mean for you to win the Threadless & Chicago Children’s Museum “Real Play” design challenge? As soon as I saw the challenge posted I felt like this was something I needed to win. The brief for the competition fit really well with my style so it seemed obvious to give it my best shot. It meant a great deal to win as I had put in a lot of effort to make sure I had a decent chance against strong competition from other artists. 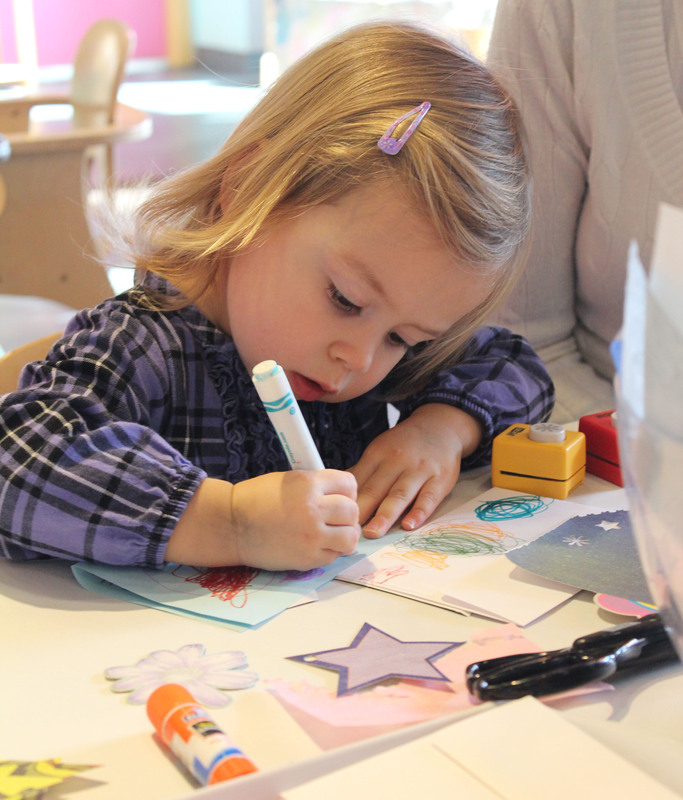 How did you enjoy your visit at Chicago Children’s Museum? Initially I was quite nervous however the staff were extremely friendly and helpful so I felt at home almost immediately. The children I worked with were really enthusiastic and the one on one interactions were by far my favorite part of the whole experience. What was leading the workshop like? 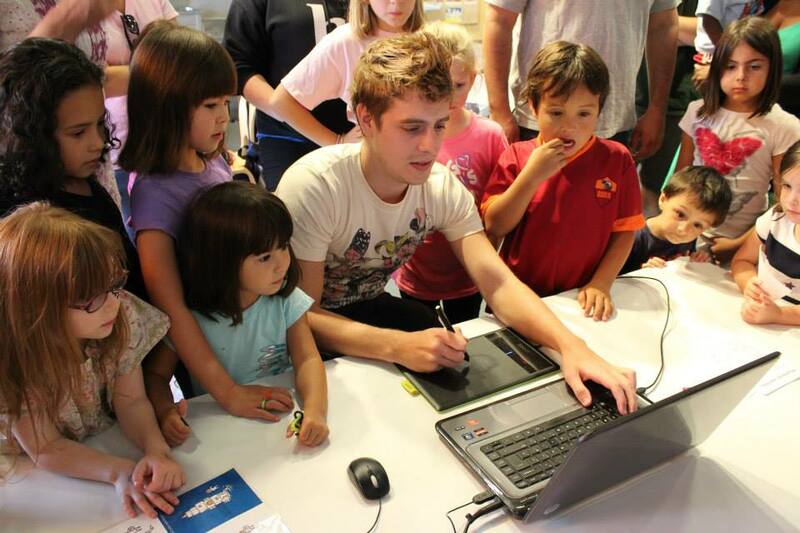 Leading the workshops was really rewarding, I found the imagination and creativity of the children was really inspiring. The children seemed really interested in the drawing with the tablet as well as watching me sketch, I often realized after the workshop that the kids had taken my sketches home with them which was heartwarming. Did you have any favorite moments or interactions with the kids? Any surprises? My favorite moment was drawing completely random things with kids after they had finished the activity, we would be laughing and sketching and I would often forget that I was there to lead the workshop as I was busy having fun. Another favorite was receiving a hand drawn thank you note from one of the children. What was your impression of Chicago? I have actually been to Chicago previously however this time I managed to take in a lot of the sights and eat pretty much all the food available around the city, so I would say this experience was far more interesting and exciting and maybe a little bit fattening. You can purchase the t-shirt Aaron designed for CCM here. 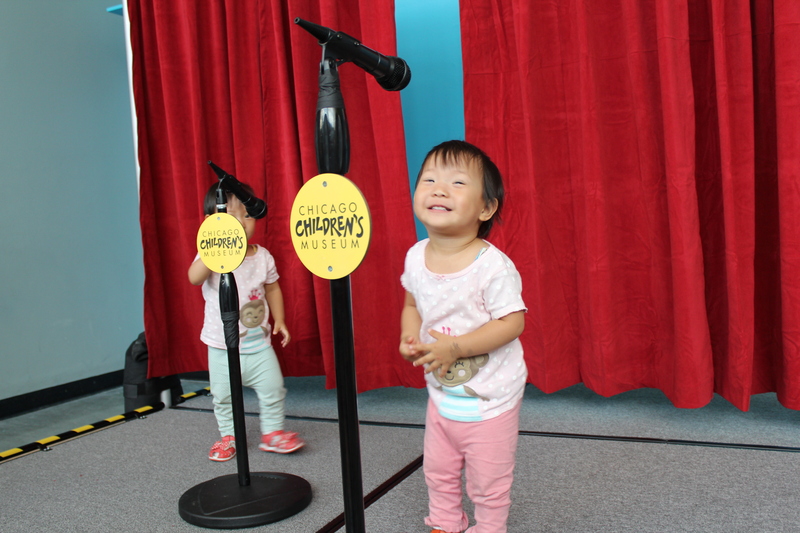 To get to Chicago Children’s Museum’s new pop-up exhibit, Laugh Shack! 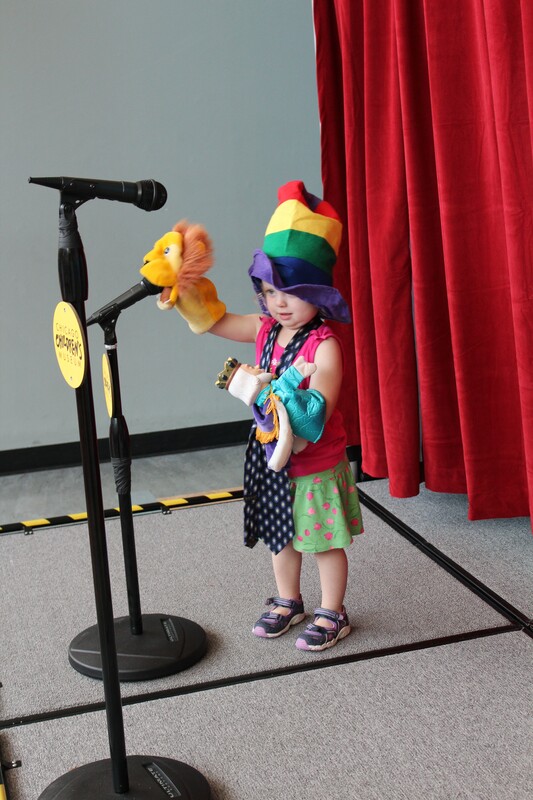 We’ve opened a comedy club just for kids! Welcome to the Laugh Shack, a place to hone your funny bone and get seriously silly. 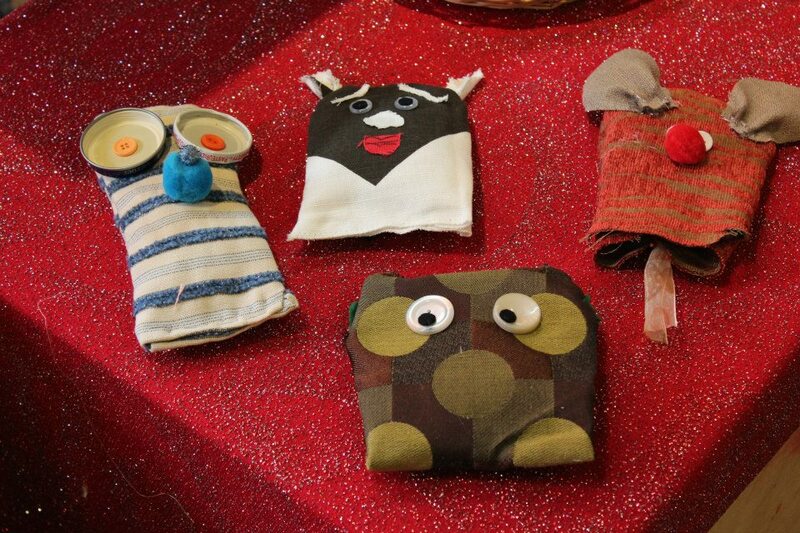 Try out some goofy faces, learn a wacky walk or build an arsenal of original knock-knock jokes. Once your material is ready, it’s time to hit the stage and showcase your best bits! Does your comedy personality wear a hat? Use a prop? Or maybe you’re a bit of prankster! 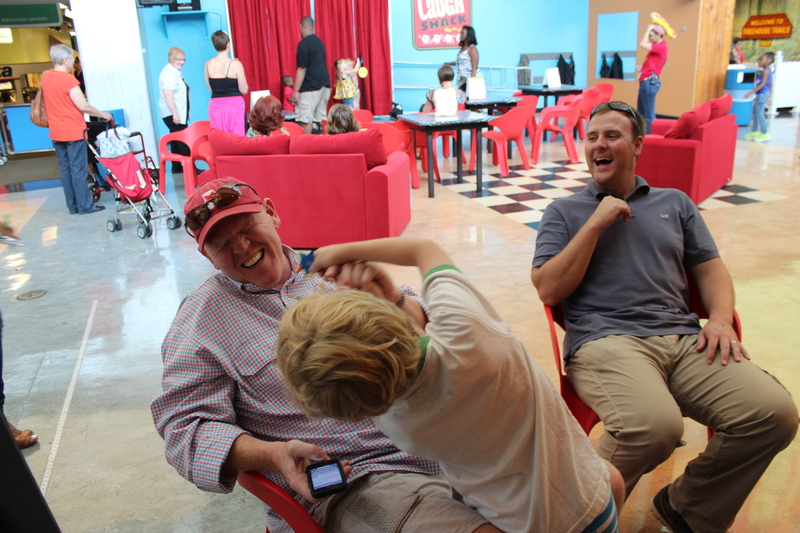 Whatever your sense of humor, you’re sure to have your family in stitches at the Laugh Shack! Open every day in August. Check out our website for more information and for programming times. Our staff has been hard at work, moving and grooving, to learn as many moves as possible for Summer Dance Parties, happening every Friday and Saturday night this July. Enjoy a variety of music, learn popular dance moves and boogie the night away. The fun begins today!